If you checked the video about the Nokia City built for MWC2018, then you could see that Nokia really got a lot of tech to show to the people this year. There are many things that are really interested, like a connected Mustang Cabrio car, or a robot that can help you sense some materials on a microscopic level. But, since I like Nokia’s gadgets the most, one thing got into my eyes. 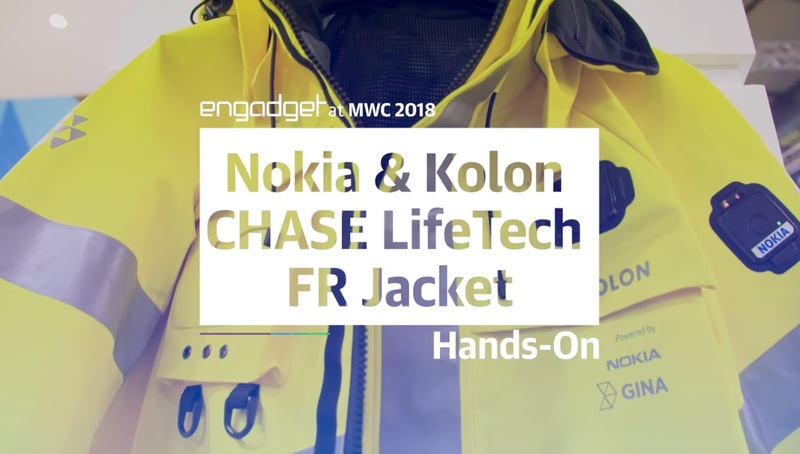 In a cooperation with South Korean clothing company Kolon, Nokia made a first responder’s jacket that can fit some tech onto it. 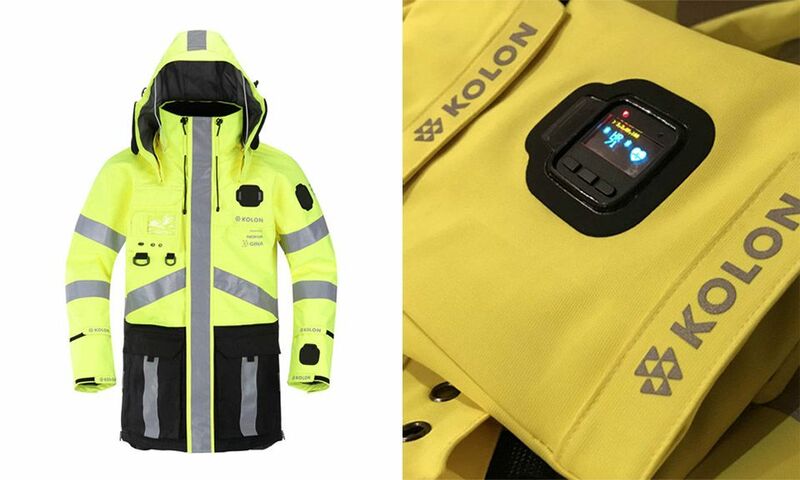 The jacket is designed for fireman, policeman or ambulance personnel and can fit various sensors on it. There are numerous places where you can fit some kind of gadget that is needed for a specific job. There is a place for a heart rate sensor, front camera and so on. Some sensors were demonstrated in the Engadget’s video and they kind of resemble to Nokia’s Moonraker watch that got cancelled by Microsoft. Check out the video below. Strangest thing ever is that I only saw Engadget doing the cover for this first responder’s jacket. Maybe I’m wrong, but this is cool piece of tech. Fabric can withstand wear and tear and it can be washed simply. I know it is not a Marty McFly’s jacket from the future, but it is pretty much futuristic what mostly depends on sensors you install on it. The jacket is still basically a concept, and is just made for a specific type of business, but the idea could be of interest to the mass market.